The primary purpose of this announcement is to provide the VDG community with an update of the unsold ICO tokens which are currently frozen in a smart contract with a vest date of 1 May 2019. We’ll also take this opportunity to recap our strategy and look at the past, present and future. Total supply of VDG is 50 billion tokens. 17% (8.42 billion tokens): Were sold to the public. These tokens have been distributed and can currently enter exchanges. 33% (16.58 billion tokens): Were unsold and technologically vested for 12 months, until 1st May 2019. 10% (5.0 billion tokens): Were placed in reserve for future development and technologically vested for 3 years, until 1st May 2021. 25% (12.5 billion tokens): To be directly distributed to the VeriDoc Global team and advisors. VeriDoc Global is rapidly expanding across the globe and tokens will be used to reward and incentivise current and future team members. 15% (7.5 billion tokens): To be used for community growth, strategic partnerships and community development. Circulating Supply based on CoinMarketCap’s definition, which is the total number of tokens that have been distributed and can currently enter exchanges is 18,406,817,639 VDG tokens (approx. 37% of total supply). Total Supply controlled by VeriDoc Global is 10,016,262,361 VDG tokens (approx. 20% of total supply). Remaining Supply which is frozen in smart contracts is 21,576,920,000 VDG tokens (approx. 43% of total supply). A key metric we want to highlight here is the ratio between Circulating Supply and Total Supply controlled by VeriDoc Global which is 65 to 35. In other words, VDG tokens that are controlled by VeriDoc Global and available to enter exchanges is less than 50% (actual figure is 35%). FUTURE: What Happens After 1st May 2019? There are two events that will take place between now and 1st May 2019. Firstly, VeriDoc Global will be running a Scratch & Win Promotion with a total prize pool of 500,000,000 VDG tokens to be given away. This promotion was designed to generate awareness and grow the VDG community. It is envisaged that Scratch and Win will be available to download and play on Android and iOS devices by April 2019. This will increase the circulating supply. Secondly, 16.58 billion tokens which were unsold at the crowd sale and technologically vested for 12 months will reach their vest date on 1st May 2019. VeriDoc Global has decided to extend this further with a new vest date of 1st January 2020. Circulating Supply will be approx. 18.9 billion VDG tokens (approx. 38% of total supply). Total Supply controlled by VeriDoc Global will be approx. 9.5 billion VDG tokens (approx. 19% of total supply). Remaining Supply which is frozen in smart contracts will remain unchanged at approx. 21.6 billion VDG tokens (approx. 43% of total supply). 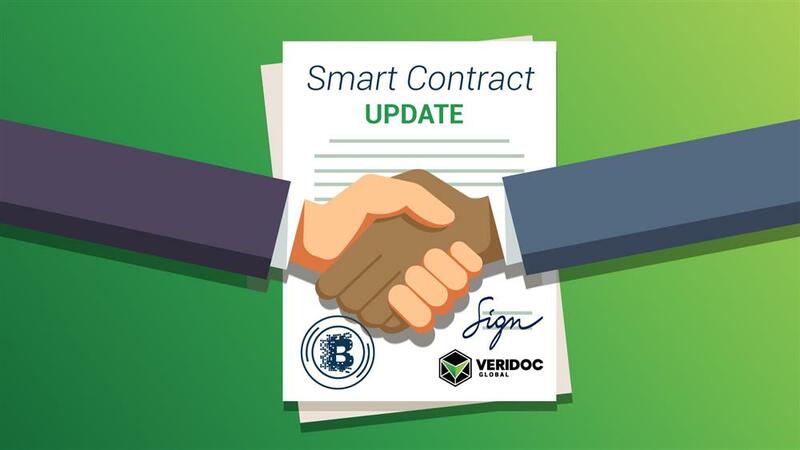 The ratio between Circulating Supply and Total Supply controlled by VeriDoc Global will be 67 to 33. In other words, VDG tokens that are controlled by VeriDoc Global and available to enter exchanges will continue to be less than 50% (actual figure is 33%).